Heeeyyy, good-lookin’, whaaatcha’ got cookin’ …? Mix cake mix, oil, eggs, and sour cream by hand, about 50 strokes. Put half the batter in 9 x 13 pan. 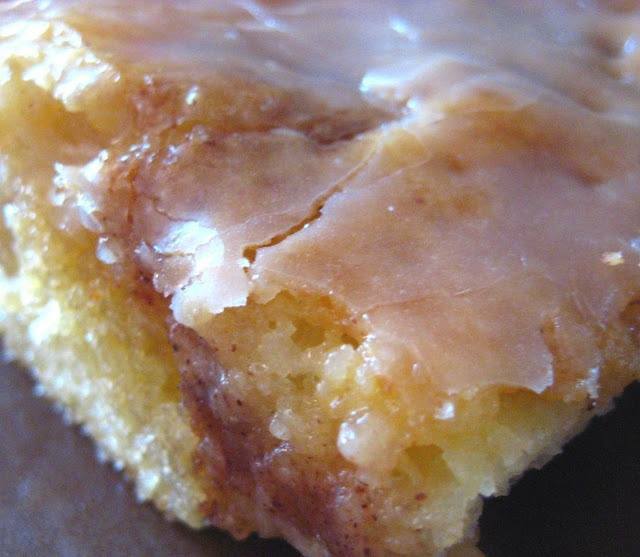 Combine brown sugar and cinnamon and spread over entire cake. Spread the rest of the batter on top of this. Use a knife to make swirls in the cake. Bake at 325 degrees for about 40 minutes. Blend powdered sugar, milk and vanilla extract and spread on warm cake. Previous A blast from the recent past … Next The weather’s here, wish you were wonderful! This is ALWAYS a huge hit when made😍💕 so super easy and delicious comfort, coffee and cake! It’s waaaay past time for me to make this one again – it’s truly a winner.